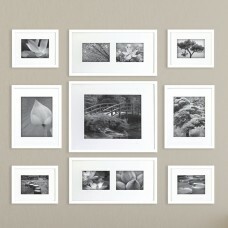 Display your photos or art in style with this Gallery Perfect 9 Piece Picture Frame Set. 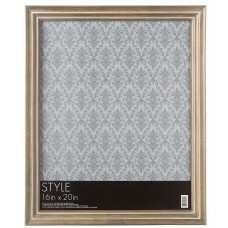 This kit wi.. 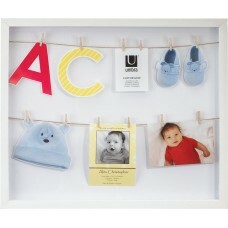 Create a treasured display to celebrate a new baby's arrival, a special journey, or any memorable oc..
Give your poster size pieces an elegant setting with this wood picture frame. 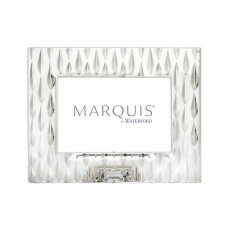 The charcoal wash fini.. 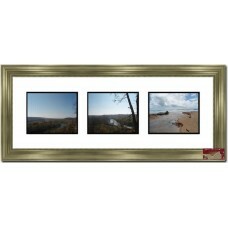 Turn memories into treasures with the Rainfall frame that borders your cherished landscape photos wi..
FeaturesPicture Size (11x14 Size)11" x 14"Picture Size (16x20 Size)16" x 20"Picture Size (5x7 Size)5.. 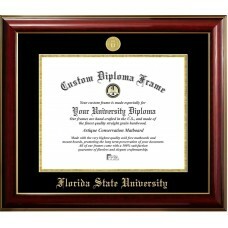 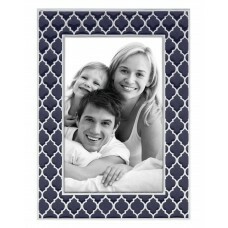 This 3 opening picture frame is a great combination of elegance and style. 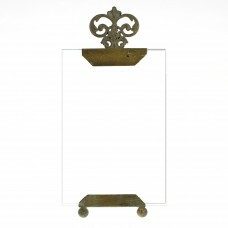 The rectangular shape and..
Frame collection features a spectrum of bright and whimsical primary colors. 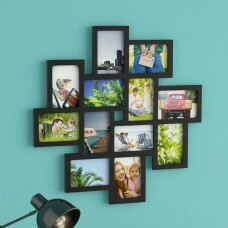 Their bright colors inf..
Their newest molding to date, this The Contemporary Picture Frame made of museum quality components,..
Show off your favorite photo in the exotic Kasbah Navy Picture Frame. 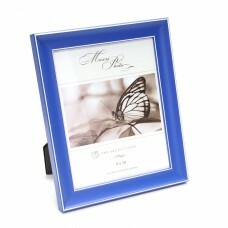 Crafted in deep blue enamelwar.. 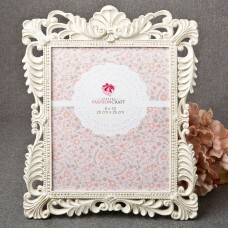 Whether you want to display your favorite wedding photos, or create a family vacation collage, this ..
Showcase your vintage wedding photo in a stunning ivory frame finished in brushed gold. 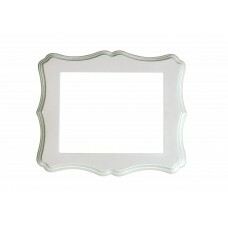 The perfect ..
A replica of a classic French photo frame, this Velia Metal and Glass Picture Frame allows for pictu.. 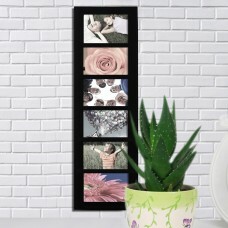 This practical, modern frame holds 6 4" x 6" photos. 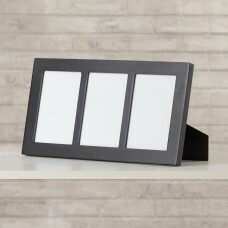 The matte finish subtly ties together black and..